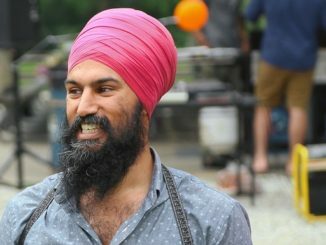 HomeCanadian PoliticsWhat Trudeau did to set Trump off. It will surprise you! I was puzzled, truly puzzled at what Justin Trudeau could have said during his closing news conference to set Donald Trump off. I watched long enough to be bored that our PM was repeating himself, saying the same old things that he had said before. On Tuesday night a listener to my radio show and reader of this site sent me an article from National Newswatch that might explain it. Thanks to Roger for sending it. Thanks to Don Lenihan for pointing out what I missed. CBC reported the story and missed it at the same time. I can be forgiven, this tidbit was aired on CBC during the National, Canada’s third ranked national newscast in a three horse race. On a Sunday night. And it appears even CBC missed what they reported and the significance of it. On Sunday, CBC invited CBC Ottawa Bureau Chief Rob Russo, actually quiet the fine journalist, to discuss Trump and his twitter tirade. At 4:15 in the clip below, Russo starts to describe how the meeting, the bilateral between Trudeau and Trump is going so well that Trump waives his demand of a sunset clause. The Americans had been demanding that NAFTA expire and need to be reaffirmed every five years. This is a bombshell that I have not heard elsewhere and quite frankly it seems to have escaped CBC how important this is. I listened back to Trump’s news conference as he left the G7 and he said that he still wanted a sunset clause but left open the possibility of a longer timeline, said negotiations were going well and the two sides were close. “We’re pretty close on the sunset provision,” Trump said. 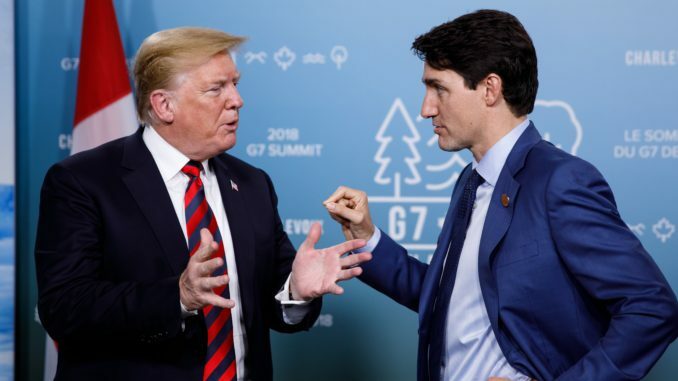 Trump reportedly left the meeting thinking he had made a deal with Trudeau and had made a gracious gesture. Then Trudeau came out and sounded like he was fighting in his news conference when asked about the sunset clause. I’m still not sure what Trudeau said that was different, he was sticking to his old script. But maybe that was the problem. Trump talked about discussions and being open to different timelines, being close to a deal. Trudeau, in answer to the first question on a sunset clause sounded absolutely combative. Here is how Lenihan describes what went on in his column. I know lots of Canadians would look at all this and just say Trump should grow up, not be so thin skinned. Well, keep thinking that. Love him or hate him, Trump is the president that Canada needs to deal with until at least 2020. And if the economy south of the border is still doing as well as it is now, we will be dealing with Trump in a second term. In poker you don’t play the hand you wish you had, you play the hand you are dealt. Trudeau’s Liberals, and much of the Canadian media and comentariat, need to realize this and deal with the Trump that is there. Millions of Canadian jobs are on the line. This is too important to screw up. “Millions of Canadian jobs are on the line. 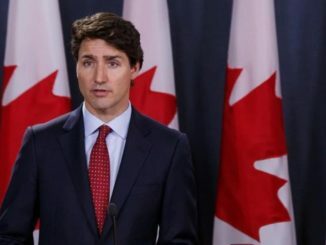 This is too important to screw up.” Shouldn’t Canadians have thought of that before electing Castro’s love child & noted snowboard instructor as their prime minister? Mr. Trump had in mind the process to halt the fake rise of the red dragon, I think, when he was in Quebec. At the same token, the sure reunification of North and South Korea, will usur in China’s decline as Mr. Trump, I’d assume, Revealed that move sublminally Kim during one on one deal. Sounds good to me. Tired of all the Lefties in this country. They won’t be happy until we are a third world country. Please do… and I thought Canadians were educated. What a total waste of space you are. It’s a negotiation chill out. Ted Baxter,..PLEASE,..separate and join the United States. That would give the WEST, a chance to form our own Government, and FINALLY, be in control of our own destiny, instead of being hewers of wood, and drawers of water for Ontario and Quebec. That last thing the world needs is Trump looking weak as he heads into a summit with Kim Jong Un. If the Substitute Drama Teacher had stopped to think, he might have spoken differently. Think???? That will never happen in my lifetime with the worst pm ever!!!! Point taken. Typos, they pass you by. We need a leader like Trump who can negotiate and make good deals for Canada. Trump would make Canada great economically . We need a shrewd businessman running our country not some wet -behind -the -ears wanna be politician that has never held a real job in his life. God bless Donald Trump and hopeully some of America’s greatness as a result of his leadership will rub off on Canada. This makes complete sense actually. I find it rather hard to believe Justin Trudeau ‘sudden and defensive’ emotion for canada’s jobs when he and he alone is chasing jobs out of canada because of his high taxes and obsessive restrictions. So why is he slamming Trump for when he, trudeau himself, doesn’t give a dam about keeping jobs in canada. I like Trump because he loves his country and his people unlike this child Trudeau who loves himself more than his country and canadians. who would like having 270% tariff on their dairy produce? and America has 10% in Canada. Things like that are not fair. I don’t understand how Obama let this go on no wonder the businesses left America. I BELIEVE TRUMP JUST WANTS TO BE A FAIR TRADER. Turdope and his herd of islamic cabinet monsters and his climate Barbie cannot impress anyone except themselves. 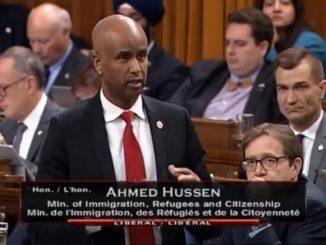 What I find curious is that the Liberals are now stoking Canadian patriotism and nationalism after doing everything in they could throughout their entire tenure to eradicate those sentiments. I’d couple that with inviting known terrorist combatants home to live in Canada after killing Americans overseas and even rewarding some with millions might make a few resentful. Trudeau has always told lies from day one and he will continue to do so.